Appoint a temporary approver and/or controller in your absence. 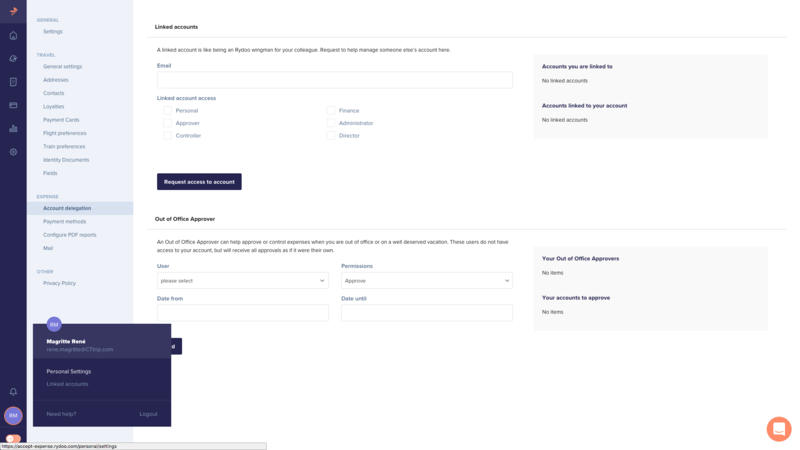 If you are an approver or controller in Rydoo, you can appoint a temporary Out of office Approver/Controller to avoid a backlog in expenses to approve/control while you're away. 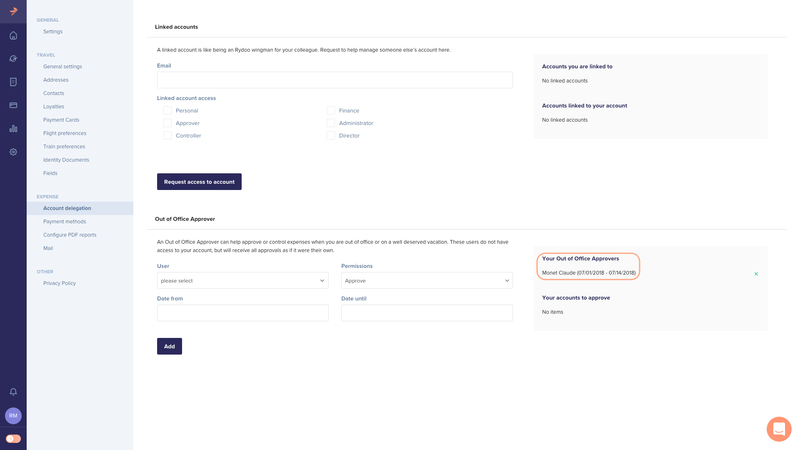 If you go to your 'Personal settings' and click on 'Account delegation', you will see the 'Out of Office Approver'-section at the bottom of the page. 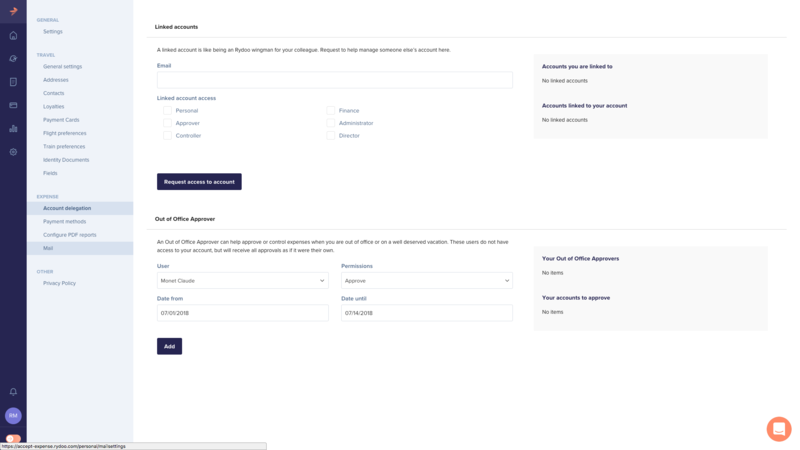 To set an out of office approver, select the user who you want to delegate your approval responsibilities to while you are away and enter the duration using 'Date from' and 'Date until'.